ICSE or ISC results by SMS: Type ICSE or ISC <seven digit unique ID> & send to 09248082883. Visit the website http://www.cisce.org/results/result/viewresult and select the course (ICSE / ISC), Type Unique ID, Enter Captcha and click on Show Result. 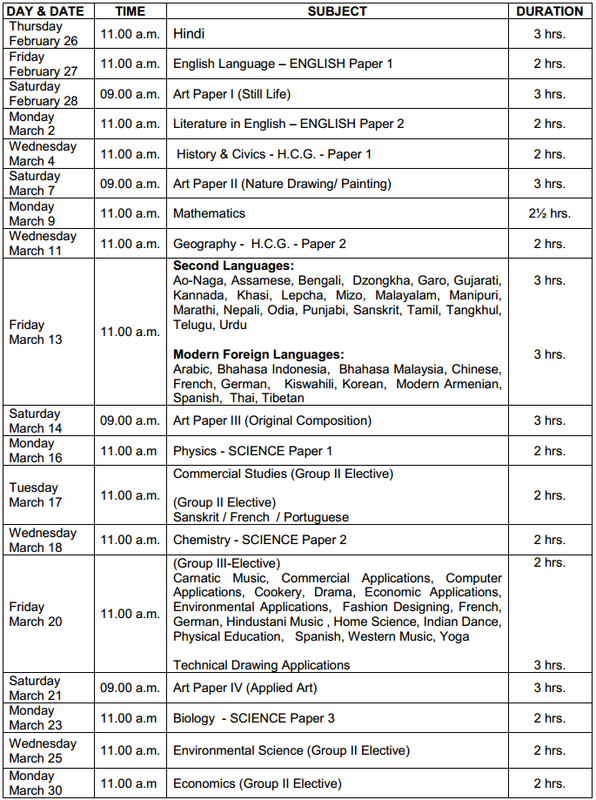 Download ICSE Examination Time Table March 2015 in PDF Format. 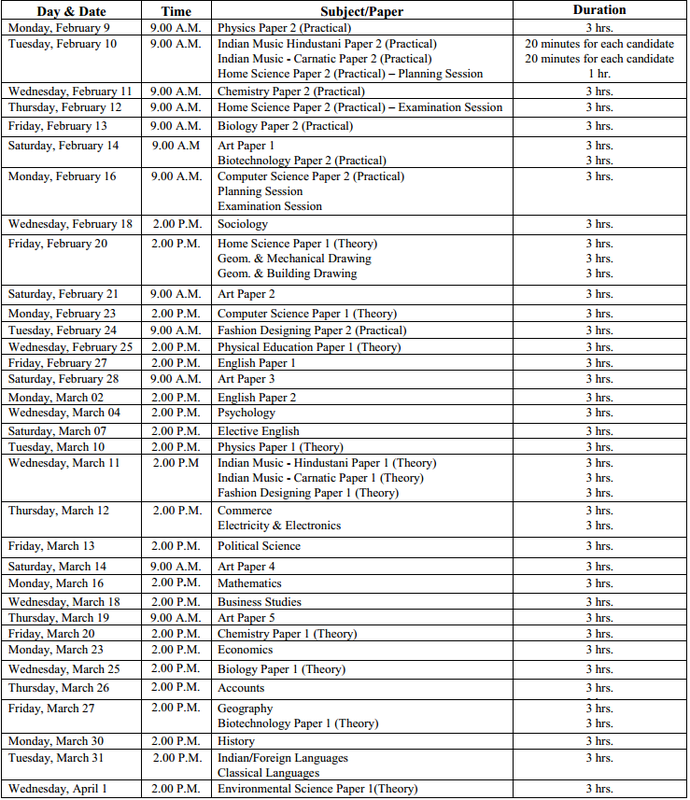 Download ISC Examination Time Table March 2015 in PDF Format.